Super Savings Item! Free Shipping Included! 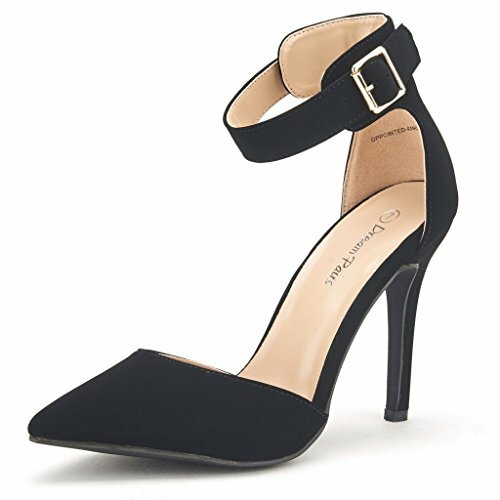 Save 33% on the DREAM PAIRS Oppointed-Ankle Women's Pointed Toe Ankle Strap D'Orsay High Heel Stiletto Pumps Shoes Black Nubuck-SZ-7 by DREAM PAIRS at Cheap Work Clothes. Hurry! Limited time offer. Offer valid only while supplies last. Featuring pointy toe front, glossy patent upper, stiletto heel, lightly padded insole,along with one smal adjustable ankle strap with buckle closure.